I have chosen to partner with Proud African Safaris to offer my friends and photo enthusiasts the trip of a lifetime. We will enjoy 7 days on the ground in Africa with our own vehicles and private guide in the bush everyday at our leisure we can schedule each day based on the area and at the advice of our guide. 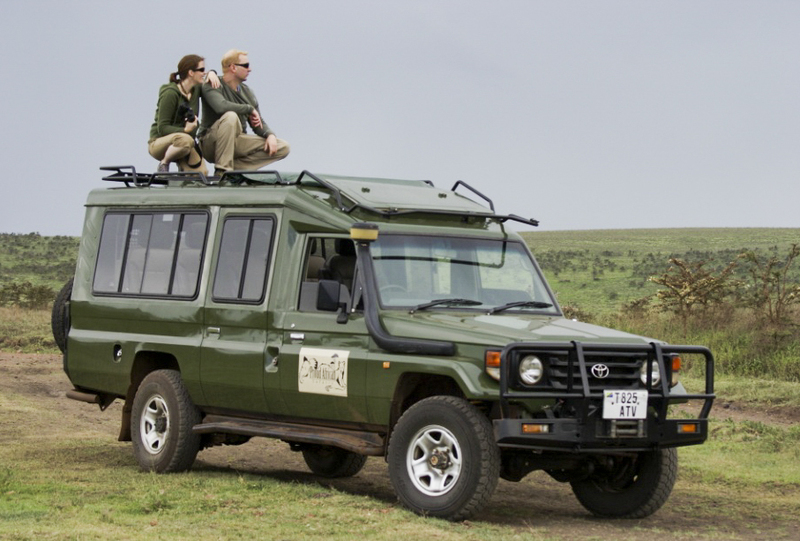 Proud Africa Safaris has worked with me to design a very personalized trip and I have limited the number of people to offer the most comfort and "shooting room" in each vehicle. The trip is limited to 8 guests plus myself - with two 8 passenger vehicles for our exclusive use and visiting some of the most outstanding locations in Africa for wildlife viewing. The total trip will be about 12 days - we will depart from Los Angeles on KLM for a non-stop overnight flight to Amsterdam where we will spend a day and one night touring the city and then a non-stop KLM flight to Kilimanjaro International Airport where we will be met by our tour operator and transported to a local hotel for our first overnight. The overnight in Amsterdam may be on the end of the trip rather than the beginning - this will be decided within the group before departure. The next 7 days we will be at several different remote Lodges a full Itinerary is in the tour flyer HERE! At the end of our Safari we will return the same way we came without the extra night in Amsterdam. That of course can be an option. The all inclusive price per person all based on double occupancy will be approx $6,000.00 pp including air fare from LAX - Can also quote departure from New York JFK, however the price is a little higher. You must have a passport with 6 blank pages and also will need a visa from Tanzania for $100.00 which you will need to arrange. See Left menu - send email to reserve your spot. Monthly Payment Plans are available with balance due 90 days before departure. A $600.00 deposit will hold your spot. Click HERE for links to where we will be staying! This site is best viewed using Mozilla Firefox, Google Chrome or Apple Safari - Internet Explorer has some issues!